Dr. Randy Hudson is an anesthesiologist and critical care specialist and is known for founding critical care at Saint Luke’s, where he twice Chaired the Department of Anesthesia. He has dedicated time and talent to the health and welfare of residents of Kansas City. Dr. Hudson was awarded the Lifetime Achievement Award at the Kansas City Medical Society Annual Meeting. 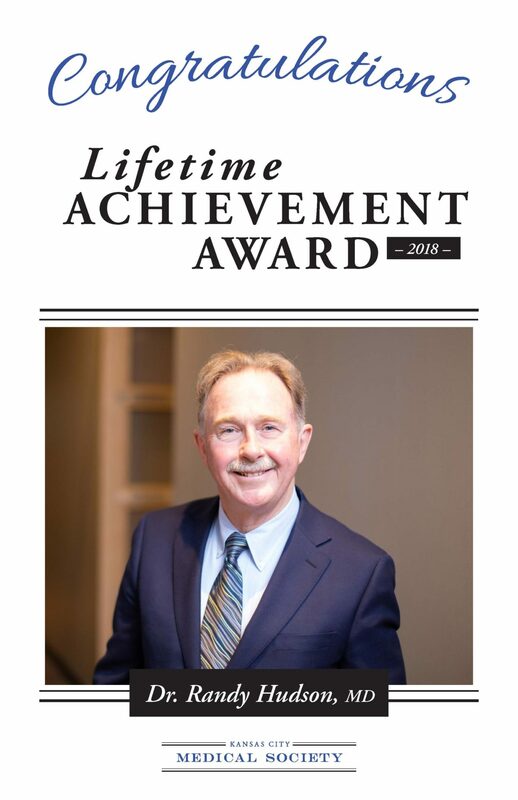 To learn more about Dr. Hudson please view his award video!